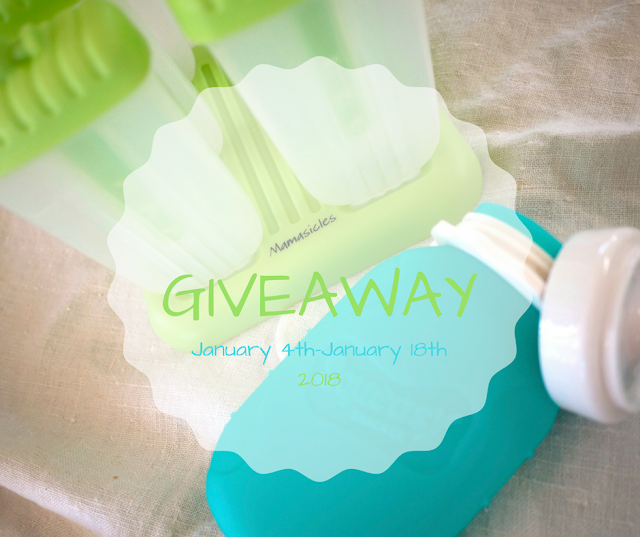 SQUEASEing in a POP of Health Giveaway!!! It is a new year and why not start by making your life a bit easier and get the whole family a little healthier! I am constantly coming up with sneaky new ways to get my picky eaters to fill up on veggies. As a lover of all greens myself, it breaks my heart to see them turn up their noses to the gorgeous garden selection I present for them each day. 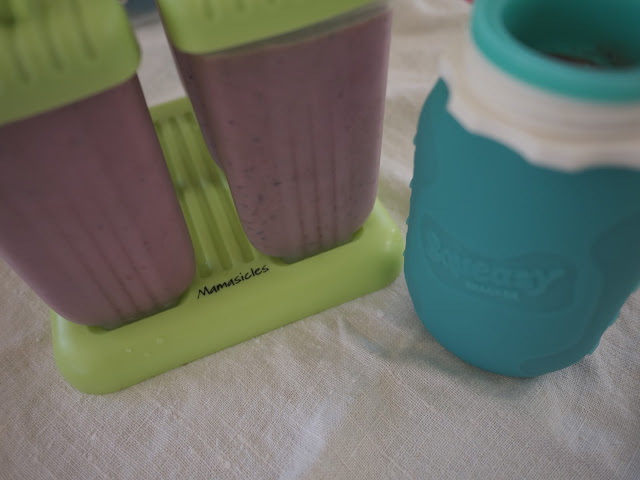 Thankfully, I found a way that has kept them filled with leafy greens and loads of fresh fruit...thank G.
My smoothie pops are a hit with even my pickiest of Peanut boys. He sometimes even asks for seconds! Loaded with spinach, kale, collard greens, fresh fruit and greek yogurt...what is not to love?! It makes me feel a lot better about his obsession with "mustard sandwiches" and all things carbohydrate. 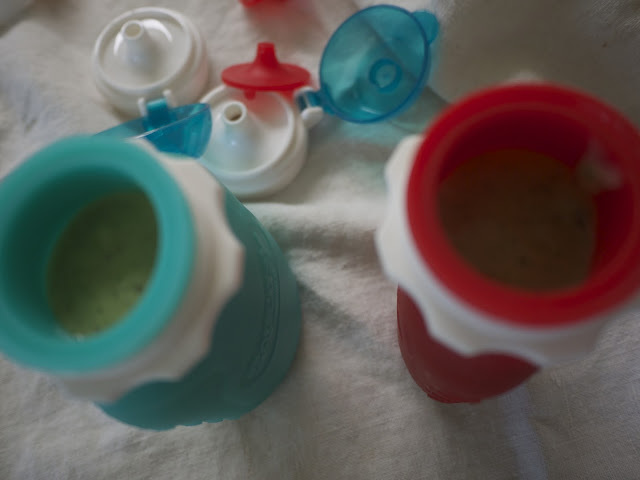 I make at least two batches every few days and not only do the big boys love a good green pop but that baby can't get enough either. Added bonus...GREAT for teething!!! Since Dude cuts a new tooth every five minutes he is always noshing away filling up on healthy goodness. YAY! Now you can get POPpin' too! 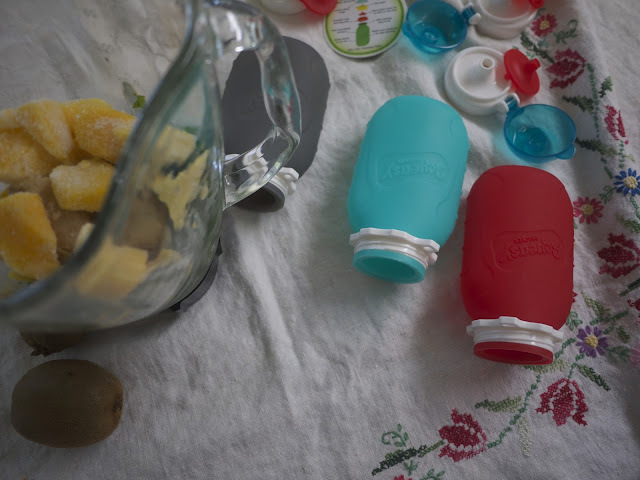 Once your kids have wiped you out..I won't tell if you use the molds for some wine pops too...our secret. 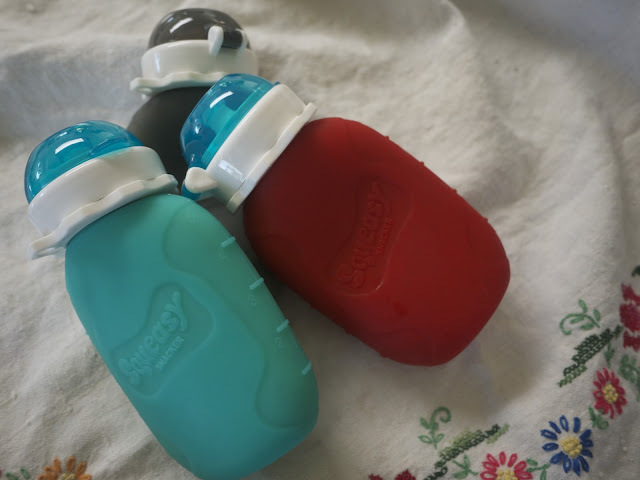 Since by boys are always on the go, the addition of a Squeasy has made smoothie drinking oh so...well, easy! I prep them with green smoothies, throw them in my bag and when they are hollering for a snack while we are out and about, lucky them, they get a healthy treat on the move. 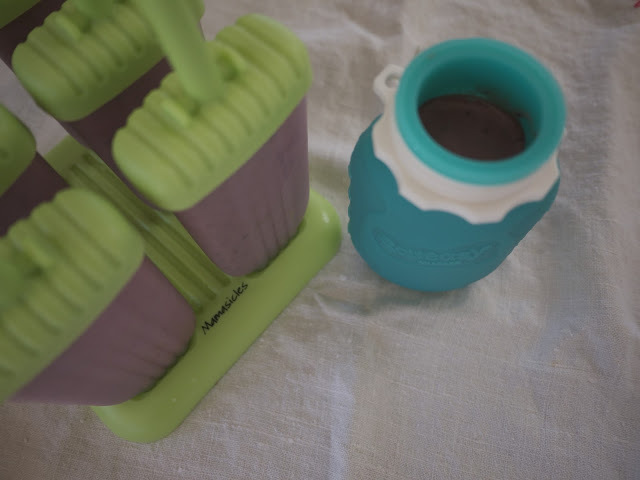 While I mostly use them for smoothies, they are also great for little blended yogurt and fruit/honey! At first I was worried about getting them clean enough, but it's so simple! A bottle brush gets the inside as well as all those nooks and crannies leaving it clean and ready for the next use. I also love that they are basically mess free, and in a house where your boys eat all.damn.day these really are a gift from God! And I am here to share these gifts with YOU!! All you need to do is start sharing the Thrive to enter. You have two weeks to make sure all your friends and family are TW followers and striving to thrive in 2018. It's that (SQU)-Easy! Shoot me an email, DM on Insta or comment of all the people you turned on to Thrive and you will also be added to the entry list....get going, a winner will be announced on Friday, January 19th! Good luck and get THRIVING!